An exciting addition to the Goalsetter line-up, the CONTENDER completely redefines the expectations of a mid-sized goal. 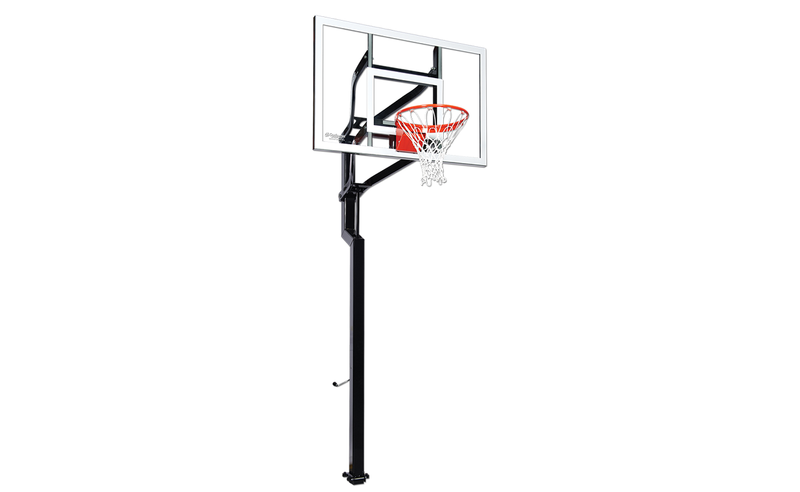 The Contender will provide your family with years of unparalleled home court play. Distinctive design and astonishing performance make the Goalsetter Systems Contender Adjustable In-Ground Basketball Hoop ideal for people of all ages with a real passion for the game of basketball! 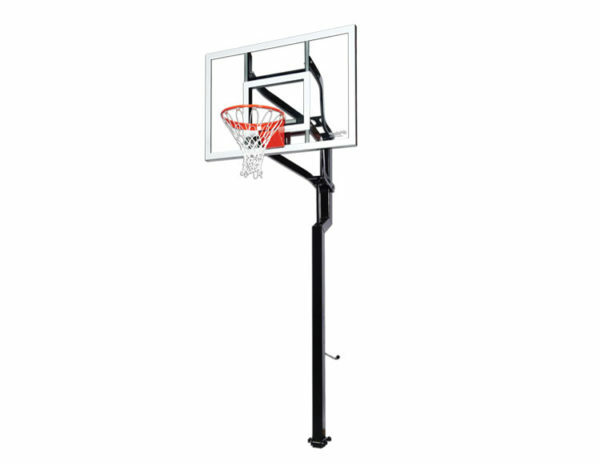 The Goalsetter Contender Basketball System features a 54” glass backboard, heavy duty breakaway basketball rim and 4” square one piece pole system. The internal compression height adjuster with removable handle, height indicator and locking mechanism ensure easy, safe and accurate height adjustment from regulation 10′ down to 6′. Other great features include Goalsetter’s patented ground anchor hinge system that allows you to complete assembly of the goal before it’s raised upright! 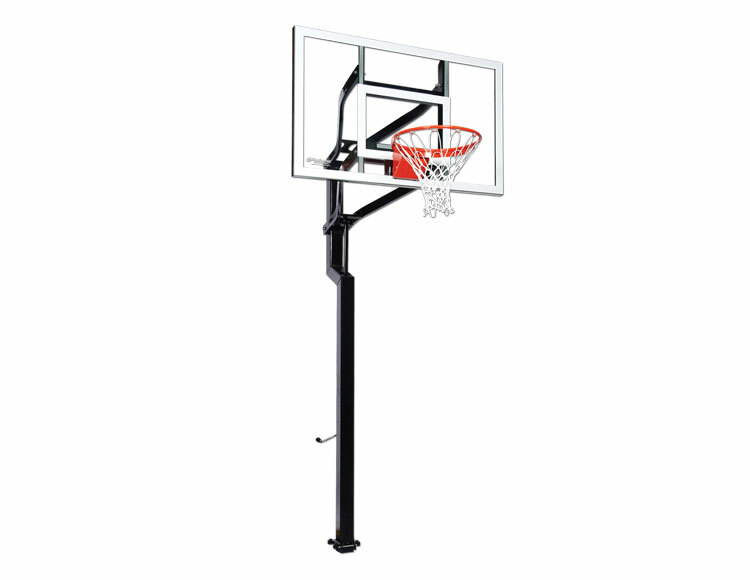 All Goalsetter systems are made in the USA. Backboard: Acrylic. Pole Size: 4" x 4"